There are few situations where we expect to disrobe and have our bodies touched by relative strangers. 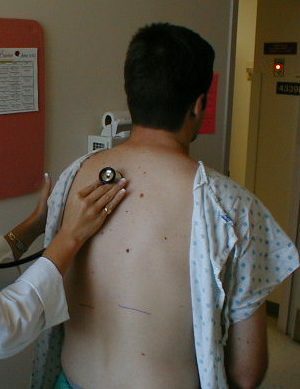 The physical exam is one of the unique characteristics of the doctor-patient encounter; a visit to a doctor doesn’t seem the same without one. Yet, increasingly, there’s less and less of it. Visits are shorter and doctors have to spend most of their time at the computer filling out the endless electronic medical records that have come to define the modern medical transaction. Often, it boils down to a half-hearted plop of the stethoscope on the fully clothed patient. For the medical students who are learning to become doctors, this can be perplexing: they have spent two years exhaustively learning the detailed physical exam, and then when they get to the practical years of medical school, they see doctors all around them hardly examining patients at all. In practice, performing the complete physical exam — including stepping out of the room to wait for the patient to undress, and again at the end for the patient to re-dress — is a luxury available only to open-ended teaching sessions with students. I have been equally guilty of rushing through a pro forma physical exam when the pressure is on. All doctors have, though we typically don’t like to talk about this because it stirs an awkward mix of guilt and longing within us. We recall wistfully our rounds as students, when our bow-tied and starched-coated attendings unhurriedly probed every fingernail bed, meticulously percussed the cardiac contours, palpated the epitrochlear lymph nodes. We feel that we are remiss with our current patients, that we are skimping on what is the sine qua non of the doctor-patient connection. In the frenetic world of daily clinical practice, doctors struggle to keep all the balls in the air in the limited time allotted. I find that I focus mostly on history, because the words of the patient are the most sensitive diagnostic tool I’ve yet come across. 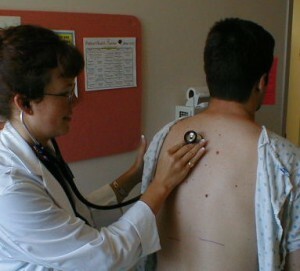 The physical exam primarily serves as an adjunct, to confirm or rule out a diagnosis that was suggested in the history. Once in a while, though, something completely unprompted from the history will arise from the physical — an unexpectedly enlarged liver, a nodular thyroid, an unnoticed skin lesion. Though this doesn’t happen often, it is a good reminder of the utility of the physical exam. But the ease and temptation of CTs and M.R.I.s, the constant fear of lawsuits, the impossibility of time, and — let’s face it — the atrophy of our skills, have combined to push the physical exam onto the back burner. A decade ago people were predicting the permanent demise of the physical exam. Dr. Abraham Verghese and other physicians have been leading the recent call to revitalize the art of the physical exam, making the valid point that a good physical exam can obviate the need for many expensive tests. They also emphasize the importance of the exam as a connecting ritual between doctor and patient. In the last few years I’ve observed that the physical exam has taken on an important role again, though as a slightly different medical tool. Now that the computer is front and center in almost every doctor-patient encounter, doctors spend the bulk of the visit staring at a screen. Not only are their eyes yanked away from the patient, but their attention is fragmented by the disjointed and niggling nature of the typical computer interface (click here for blood tests, click here for radiology results; if you display the blood pressure trend you can’t open up the cardiologist’s note; the official medication list is different from the prescription ordering function, and so on). It’s no wonder that patients feel ignored by their doctors. But then the doctor and patient move to the exam table, and everything changes. This is often the first moment that they can talk directly, without the impediment of technology. They are physically closer to each other, actually touching. This is an intimacy, albeit of the nonromantic type, but an intimacy nonetheless. And all intimacies have an effect of changing the dynamics of the interaction. 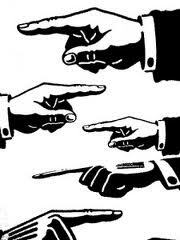 Obviously, there is a risk of changing for the worse, but in my experience it is almost always a change for the better. Once a doctor and patient are at the exam table, touching, talking without the computer between them, conversation of a different sort is possible. Countless times, I have found that it is only during the physical exam that patients reveal what is truly on their mind. Whether it is the cough that they are reminded of now that I am listening to their lungs, or whether it is the domestic violence, the eating disorder or the genital symptoms that they feel comfortable revealing once we are in a more intimate setting — there is something about touch that changes the dynamic. Medical Check-Ups: Waste of Time?